This 45-year-old Australian is one of the most versatile and multi-talented actors of our time. 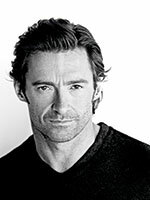 The all singing, all dancing, all acting Jackman is as at home on screen as he is on Broadway. Jackman’s worldwide breakthrough came with his role as the phenomenal superhero Wolverine in the X-Man franchise. His filmography includes Woody Allen’s SCOOP (2006), Baz Luhrmann’s AUSTRALIA (2008) and Tom Hooper’s LES MISÉRABLES (2012, Golden Globe for Best Actor). Jackman proved his inimitable entertaining skills when he hosted the 2009 Oscars. Hugh Jackman will accept the Golden Icon Award in person on Saturday, September 28 at the cinema corso. He will present his latest film PRISONERS on the same evening. This year’s Zurich Film Festival Career Achievement Award goes to the producers Tim Bevan and Eric Fellner of the British production company Working Title Films. 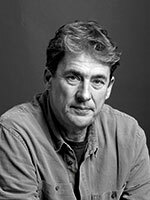 Born 1958 in New Zealand, co-founder Tim Bevan will accept the award on behalf of his remarkably productive creative workshop, which has been responsible for numerous internationally acclaimed British cinema productions over the past several years. The company’s philosophy is based on the insight that box-office success and exceptional quality standards are not mutually exclusive. The result of this business policy is sustainable commercial success and an artistic reputation that many competitors can only dream of. The ZFF warmly invites you to follow the story of this extraordinary British accomplishment with a comprehensive retrospective of 12 Working Title Films productions. With his artistically stringent, visually impressive and uncompromising films, Michael Haneke is regarded as one of the sharpest cinematic analysts of socio-moral maladies our time has seen. Raised in Vienna, this exceptionally talented screenwriter and director celebrated his cinema debut in 1989 with THE SEVENTH CONTINENT. Oscillating between German and French-language films, he has since amassed innumerable awards, including two Golden Palms at Cannes and an Oscar for his most recent film to date AMOUR (2012). 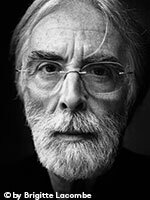 By presenting its A Tribute to... award to Michael Haneke, the Zurich Film Festival honours one of the most important auteur filmmakers of the present day. Haneke will accept the award in person during the Award Night on October 5.